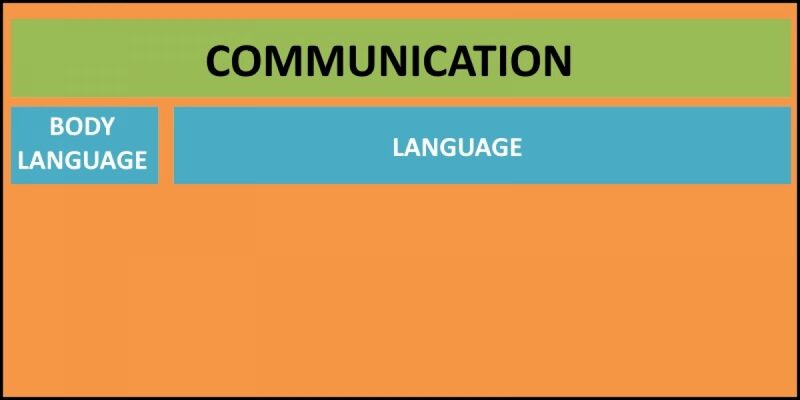 The following diagram is a summary of the different areas that make up human communication. Click on a box to learn more. Communication is the sharing of thoughts, feelings, messages and information. It usually takes at least two people to communicate. We might be the one doing the sharing or we might be the one on the receiving end. So, communication means understanding what others are saying and also being understood when we are talking. Language is used to communicate. It is different from speech. In writing, the transmission system is written words – on paper, in an email, texting on a mobile phone, and so on. In speaking, the transmission system is spoken words, e.g. cat, dog, hello, how are you?, kick the ball. Grammar is the rules of language. There are rules about what order words have to go in to make sense. For example, I can say the boy fed the dog but not dog the fed boy the. There are also rules about how to talk about more than one thing. For example, I can say two dogs, three cats, four pigs but not two doger, three cating, four piged. This is about knowing what words mean. It’s also about being able to use the right words to say the things you want to say. For example, if I want to tell my mum that I’ve just seen a furry animal with four legs, whiskers on its face, a tail at its rear and sharp claws, I have to use the word cat. Knowing lots of words to describe things is our vocabulary. We have to be able to use the right words in the right situations. 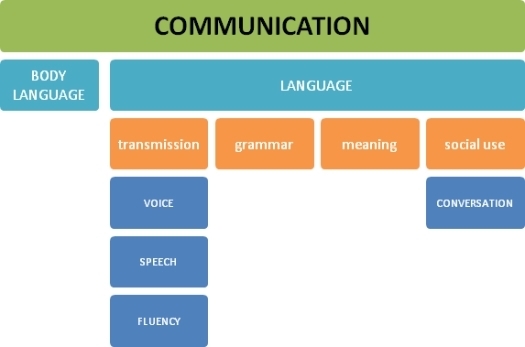 This is about how we use speech and language differently in different situations. Voice is the ability to make sounds by vibrating the vocal cords. The buzzing sound made by the vibrating vocal cords is called the voice. Speech is different from language. Fluency is the smooth, easy production of speech. Conversation is about talking socially with other people. We have to be able to take turns. Sometimes I may be the speaker and another person is the listener. Sometimes I have to be the listener when another person is talking. We also have to be able to stick to a topic (such as talking about football, or cooking, or music). We shouldn’t jump around too much, as this is confusing for the other people we are having a conversation with. Also, we shouldn’t interrupt too much. And if we are interrupted, we should know what to do about it.